Happy Monday! I can’t believe it’s already November. I ended the month of October celebrating a friend’s birthday in New Orleans. It was an awesome and fun experience. Check out my Instagram Story Highlight for my travel experience and recommendations. This year has been going by super fast. Can you believe Christmas holiday is around the corner? Christmas holiday is my favorite holiday season and I am so excited for all the year’s festive. To get the ball rolling, I have created a section on my page for Holiday Gift Ideas. In the coming weeks, I will be sharing my holiday looks, gift guide and holiday decor options. Currently eyeing this peplum dress, sequins skirt and dress for the holiday. For Nolan, I am thinking of picking up this plaid jacket and pants for the holiday. What are you looking forward to this holiday? 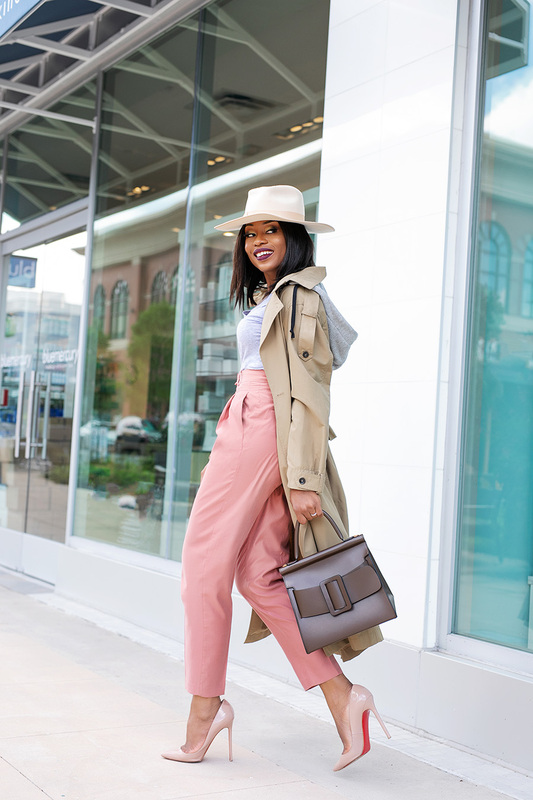 Today’s work style fits right into the current flaunting fall weather. Here in Maryland, the weather has been up and down. Some days feel a lot like winter and other days feel a lot warmer. 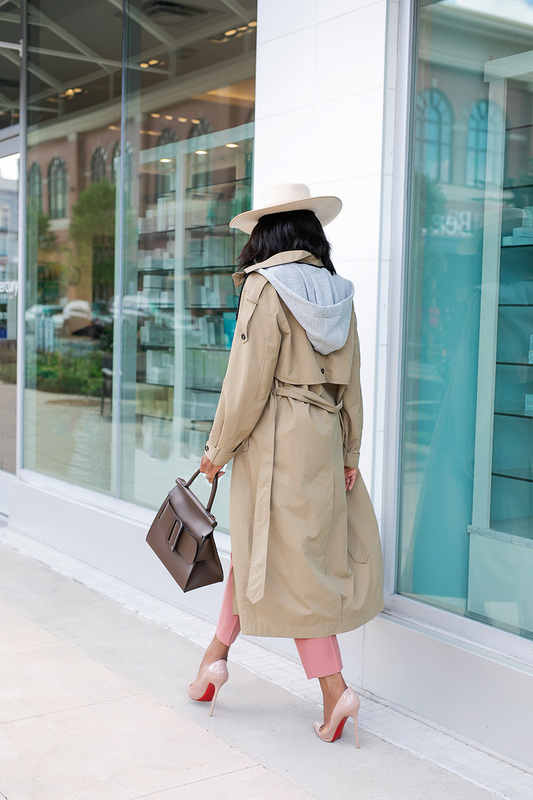 For fall and milder weather, my trench coats come in handy. I always make sure I have versatile coats for work the fall season and beyond. 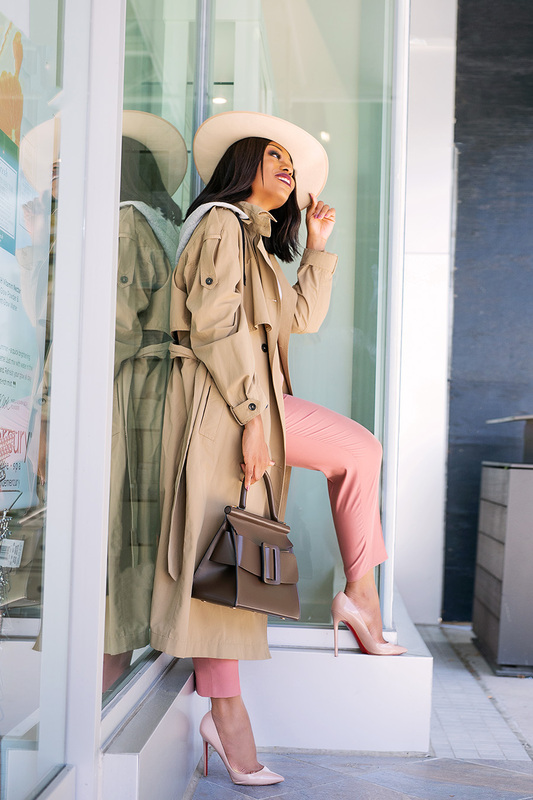 Other coats that I have picked up for fall/winter includes this vintage pink trench, green coat and currently eyeing this brown pair. Having versatile coats for work this fall is important. 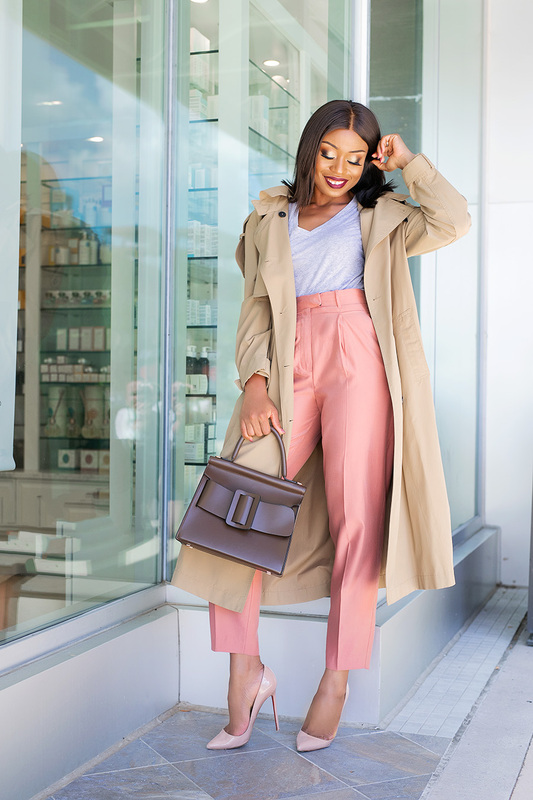 A simple work style for me is either ankle pants or pencil skirts with a coat. 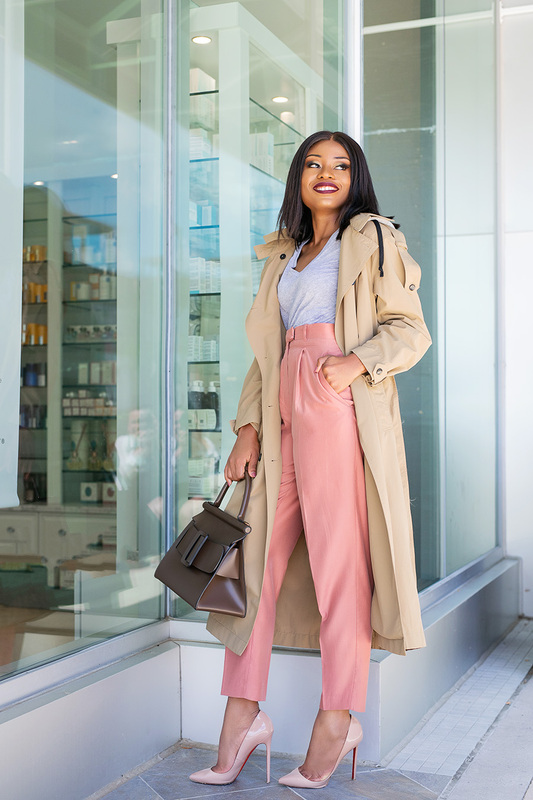 Currently wearing this ankle pants with grey tee and trench coat for work. It’s a simple and easy work style for fall. 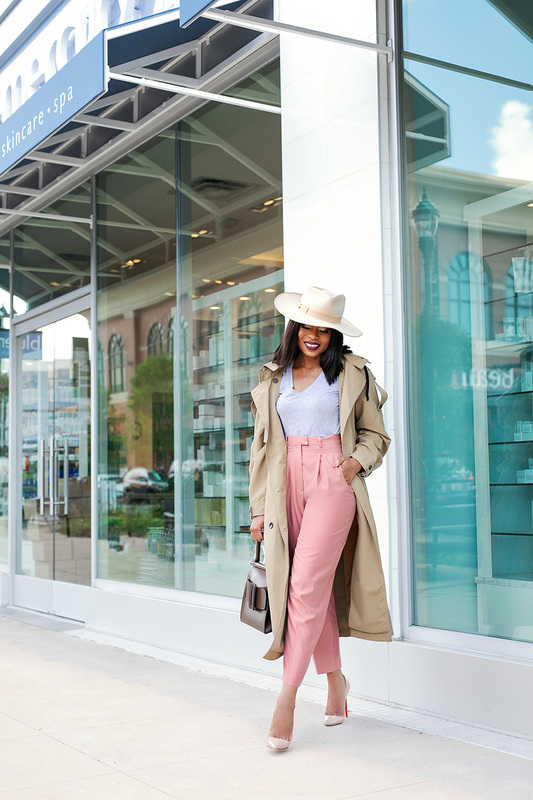 I added the hat to complement the neutral tones and makes for la great transition from work to happy hour. 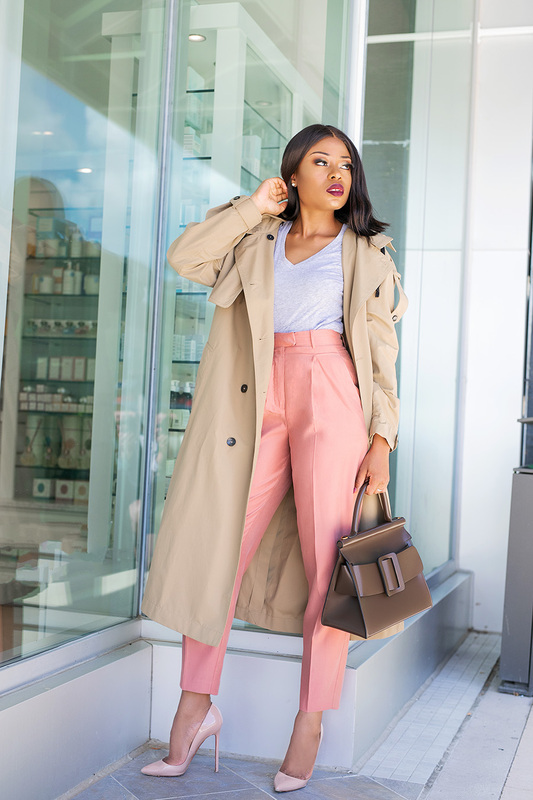 Love a good trench coat. Plus, the color palette is on point!